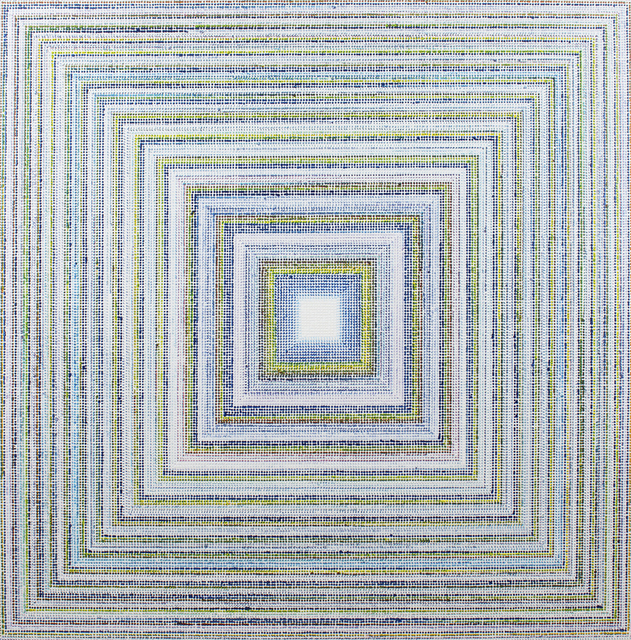 Nancy Margolis Gallery is pleased to announce its summer group exhibition, featuring three color field painters from the gallery’s stable of artists: Jeff Depner, Gregory Hayes, and John Platt. Each of these artists has earned a reputation for his nonrepresentational paintings in which color and form become the subject of the compositions. The gallery is excited to bring these three artists together for the first time to showcase their differing interpretations of color field painting. The exhibition will be on view June 28th through September 8th, 2018, with an opening reception on Thursday, June 28th from 6pm until 8pm. Jeff Depner creates bold, visually engrossing compositions through a blend of geometric and curvilinear shapes placed on top of planes of built-up color. 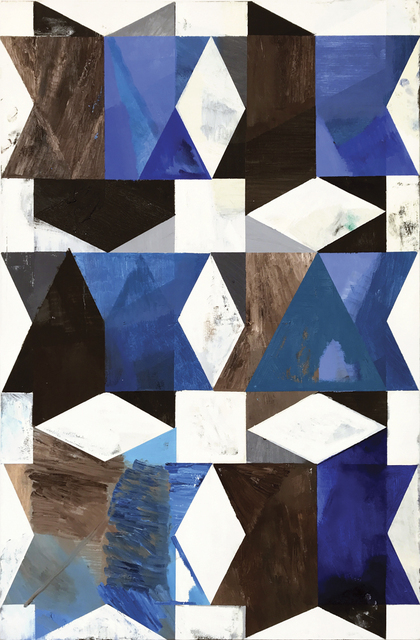 Of the three exhibiting artists, Depner makes the strongest use of texture in his works: the viewer is aware of the artist’s hand in each of his paintings through his use of confident mark-making and crude layering of color. Depner’s color choices allow for some shapes to recede into the background, while others appear to levitate from the surface. 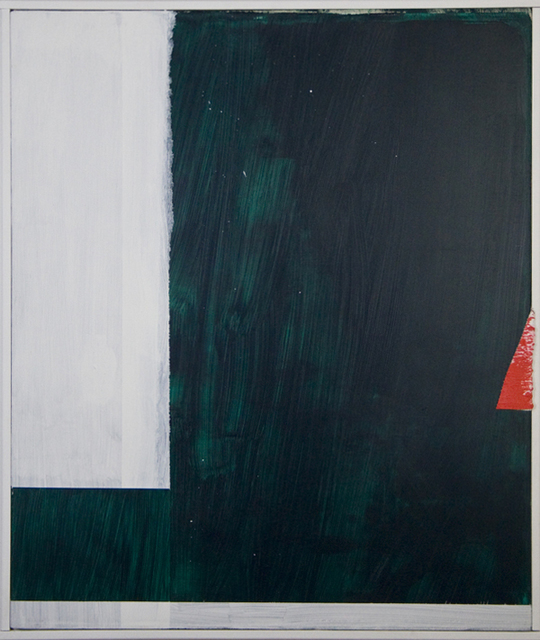 The artist’s palette favors subdued colors, often with dramatic notes of brighter hues in the form of smaller shapes or accents, such as the red triangle clinging to the edge of a deep green canvas in Untitled (Green & White). 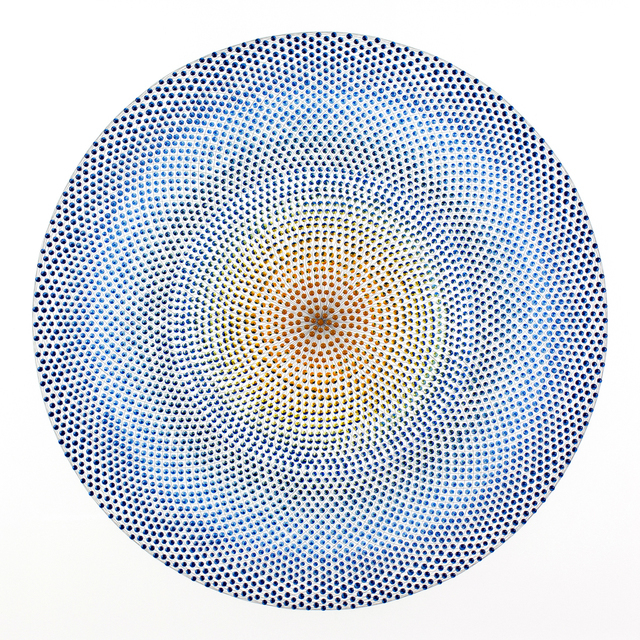 Gregory Hayes is a brushless, series-based painter whose most recognized bodies of work, Color Array and Amalgamation, are created through a methodical process of dripping spherical beads of acrylic paint onto a flat canvas. In the case of his Color Array series, the final results are large-scale, crisply pristine compositions of concentric squares of vibrating color harmonies. 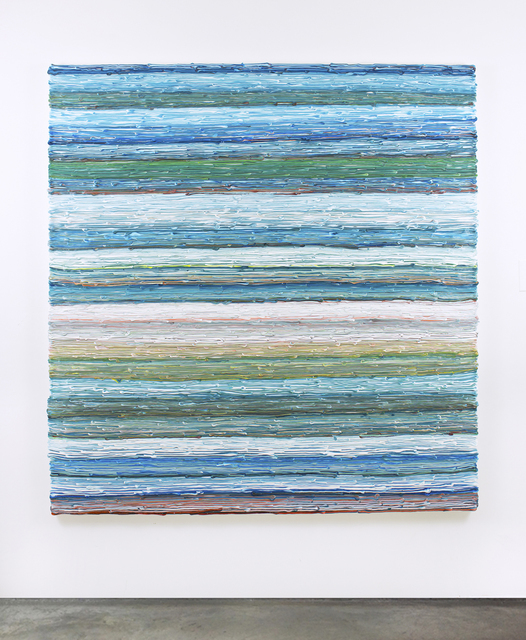 In his newer series, Ribbon, Hayes’s compositions of stacked horizontal bands of swirling color resemble flattened landscapes of softly shifting tones. 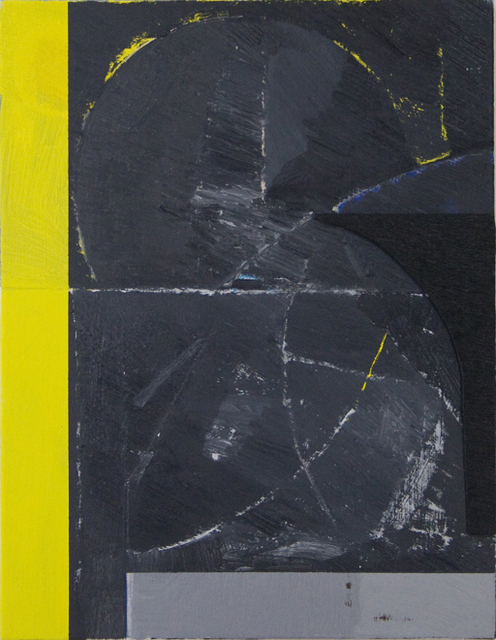 No matter which series Hayes is working on, his focus trains on the formal possibilities of paint as a medium and the expressive abilities of color. The artist’s compositions do not vary greatly from one painting in a series to the next; what does change is his color palette, and therefore, the overall mood and visual impact of the particular piece. 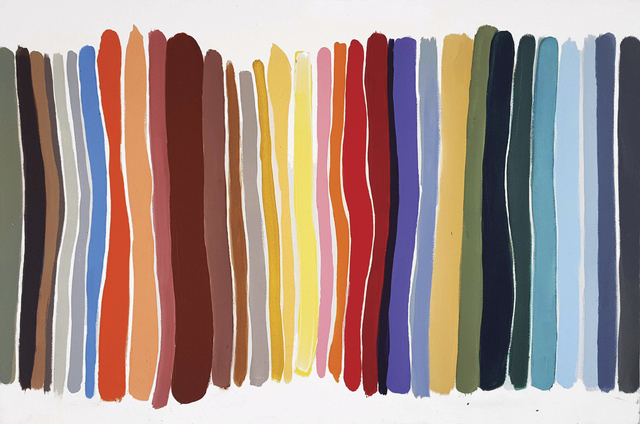 John Platt creates vertical stripes of pure color (Chord 7), free-flowing drips (River), islands of swirling gradients (No. 18), and in some canvases, an amalgamation of all these styles. In stark contrast to the looseness of River, the artist’s Chord 7 is a rhythmic dance of hard-edged stripes. Colorful bands of varying widths are slightly separated from one another so that the white-painted canvas underneath peeks through, creating a seductive luminosity. 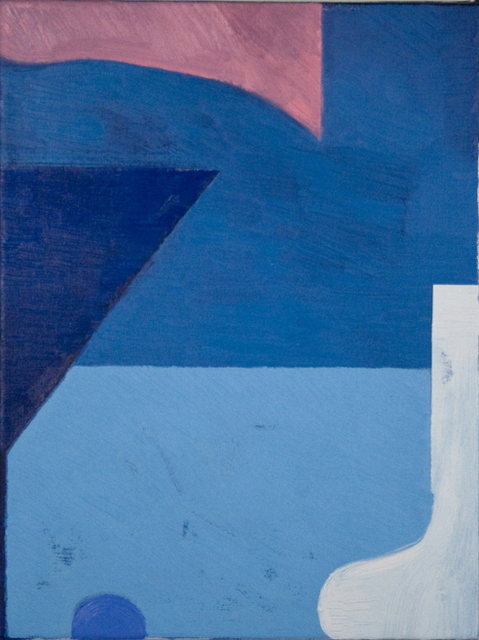 Among Platt’s inspirations are two pillars of American Abstract Expressionism, Mark Rothko and Barnett Newman. From Rothko, Platt borrows the technique of pairing multiple colors to evoke an emotional response and to stir a meditative experience. With Newman, Platt shares a bold acceptance of chance and spontaneity, allowing his work to continuously evolve. 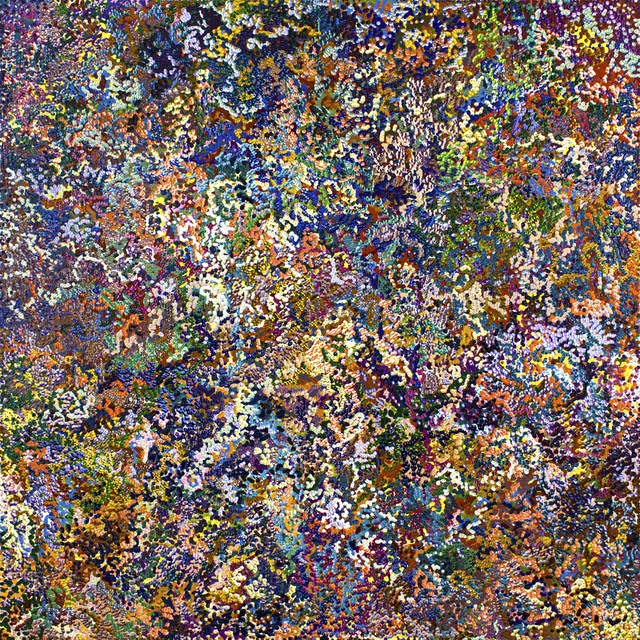 Platt’s paintings are strongly individualistic, however, and while he draws inspiration from past masters his final products are rooted in sources that are unique to the artist: his memories, his surroundings, and the spirit of his time.